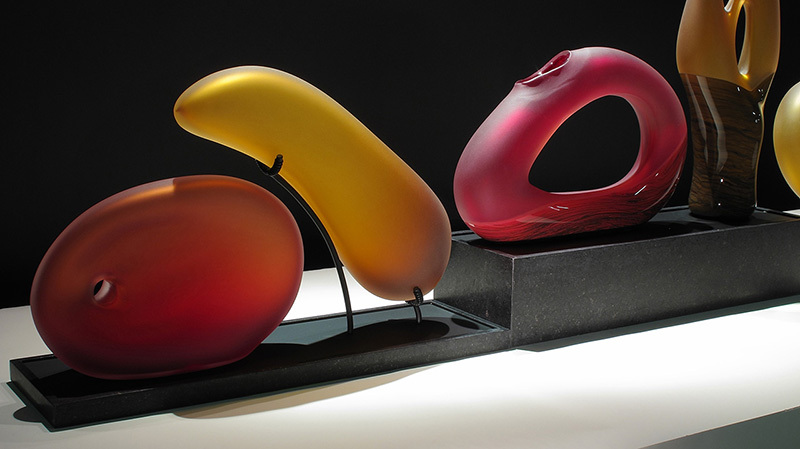 The photos of this sculptural glass and granite art installation were taken prior to shipping to Germany. The installation of this project is on board a new luxury cruise ship, Norwegian Getaway – NCL. The location is Cagney’s Steakhouse within the luxury cruise ship. The project was facilitated through the art consultant design firm, SMC Design, located in London, UK. This sculptural glass and granite art installation presented some unique challenges. The client requested the use of granite in the project. Granite is a beautiful but heavy and brittle material. Weight was also a consideration for this project. 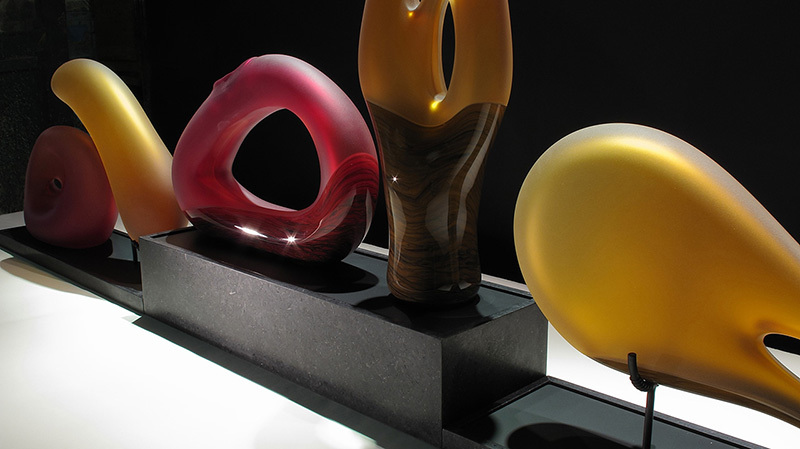 We designed and had fabricated the custom granite and metal base for the glass sculpture pieces. Designed in sections, this allowed for transportation and installation of this project. The overall width of the sculpture is 78 inches. 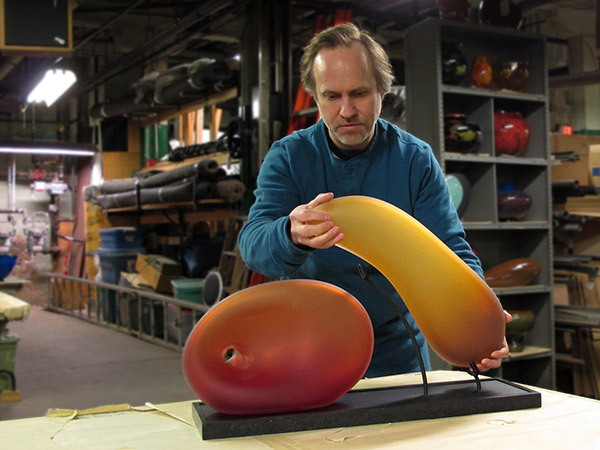 Bernard Katz setting glass sculpture custom granite base. 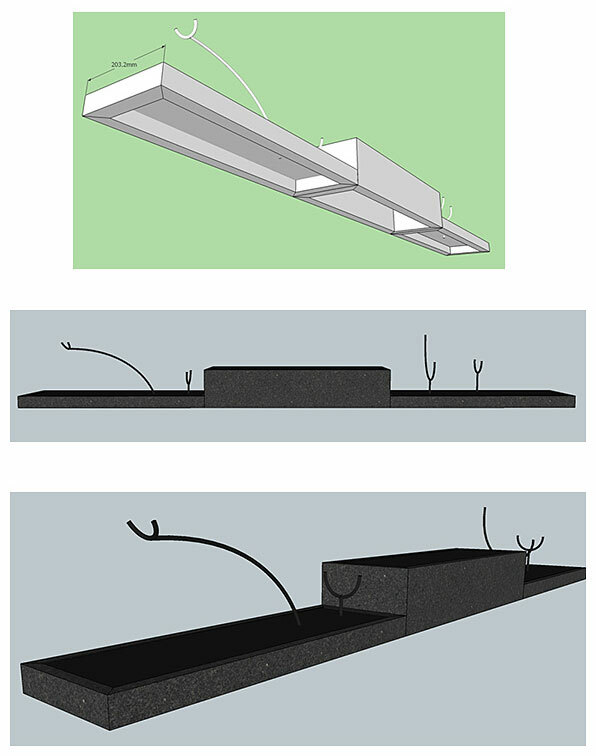 Design drawing for fabricating metal and granite display base.